High Precision Prism AssembliesREO Inc.
REO high precision prism assemblies enable construction of compact beam multiplexing systems for applications in aerospace, defense, bioinstrumentation, analytical instruments and telecommunications. Specifically, these monolithic assemblies allow multiple beams to be combined, split, or redirected based on differences in wavelength and/or polarization. REO prism assemblies are distinguished by their low transmitted wavefront distortion values (as low as λ/10 at 633 nm), beam deviation tolerances in the arc second range, and even the capability for precise control of output beam phase relationships. 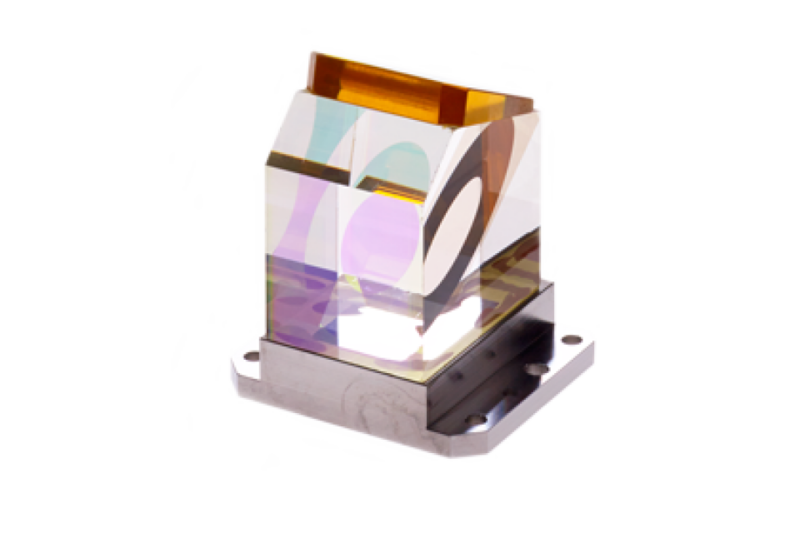 REO fabricates assemblies from numerous substrate materials for applications in the ultraviolet, visible or infrared, typically based on prisms in the 3 mm to 25.4 mm size range. In addition to traditional adhesive bonding techniques, REO can employ its Activated Covalent Bonding technology to yield assemblies that offer very high laser damage threshold characteristics, as well as exceptional thermal and environmental stability. REO is also able to incorporate other optics within these assemblies, such as lenses for beam shaping or absorbing filters for use as internal beam dumps. REO utilizes an optimized combination of both manual and automated assembly technologies in order to deliver precision assemblies in volume at competitive prices. These include coordinate measuring instrumentation, interferometers, customized assembly jigs, active alignment instrumentation and automated adhesive dispensing equipment. The latter is particularly useful in ensuring part-to-part and batch-to-batch consistency.